There's a whole new animal in whole-home entertainment. 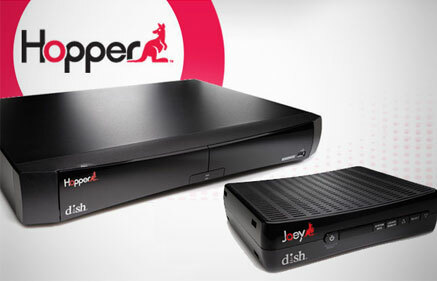 The Hopper from DISH, an innovative new way to share recordings between any HD TV in your home. Hopper is a HD DVR with three satellite tuners that provides full DVR functionality to every TV by communicating with the Joey, a client receiver with no satellite tuners.